Kuriyama has made available to the marketplace their new Redi-Lock™ non-conductive 300 PSI Push-On Hose. 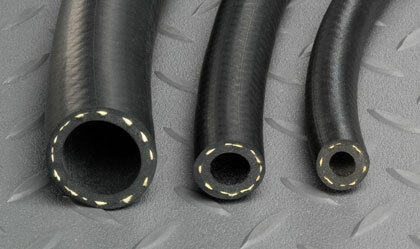 This rubber hose is available with a black cover and comes in ID sizes ¼" through ¾" and is packaged in 700' reels. Hose is ideal for low pressure pneumatic systems and has an MSHA approved flame resistant cover for use in industrial applications. Click here for more info.